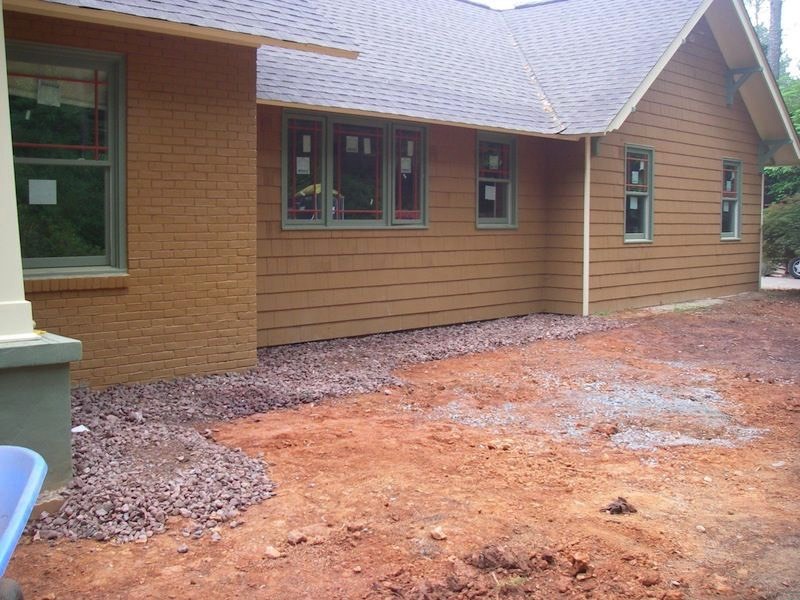 Our goal is to solve your drainage problem in a manner that’s attractive, low maintenance and no worry. 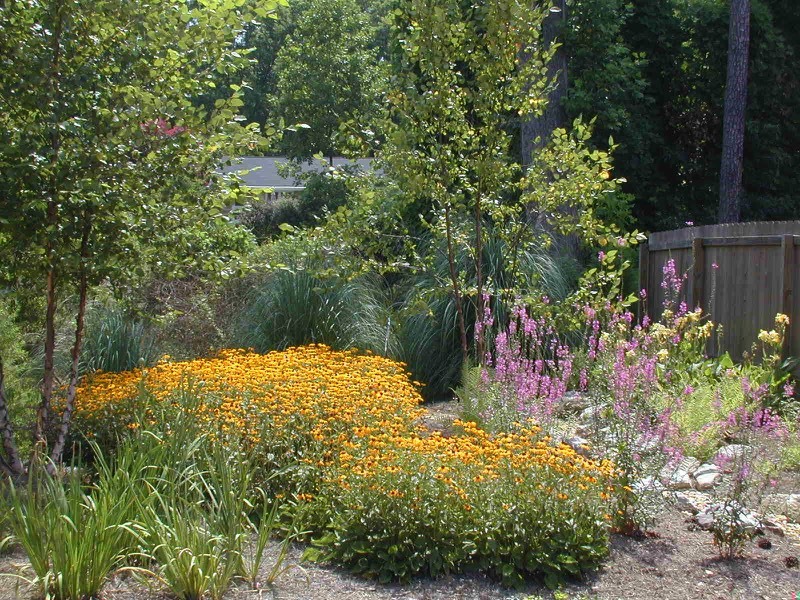 In a naturalistic landscape, a rain garden and wildlife habitat might work. 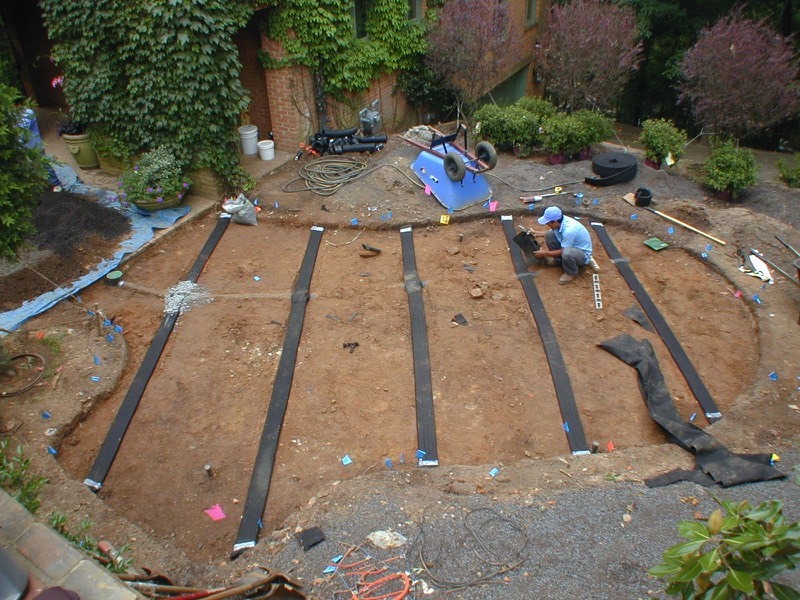 In a formal landscape, state-of-the-art piping might be needed to drain a flat lawn or garden. In any circumstance, the drainage solution will be properly built to minimize any chance of clogging and to optimize maintenance. 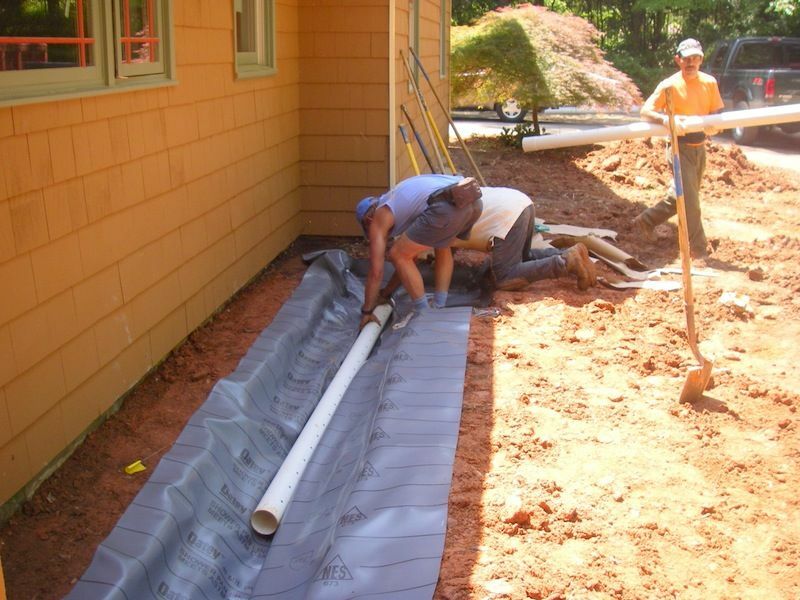 Drainage is a key component too! 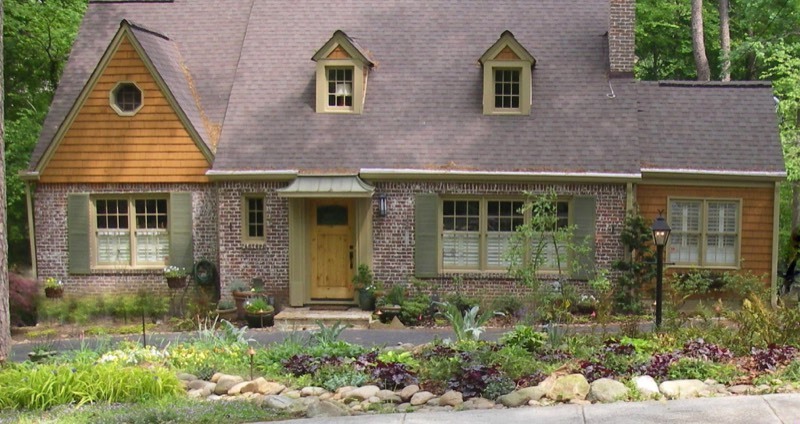 Proper pitch of all hardscape surfaces, landscaped beds and lawns is vital to ensure that drainage runoff collects where it won’t cause trouble. 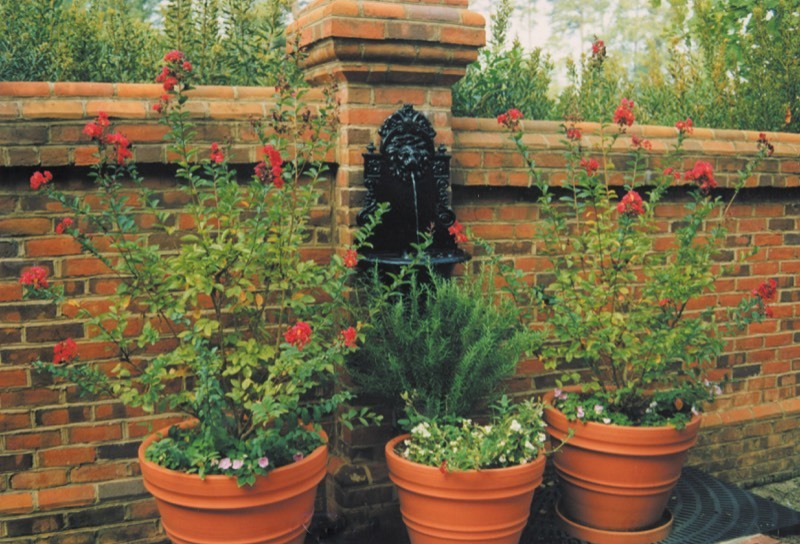 Ordinary solutions such as piping and catch basins are integrated into all designs. 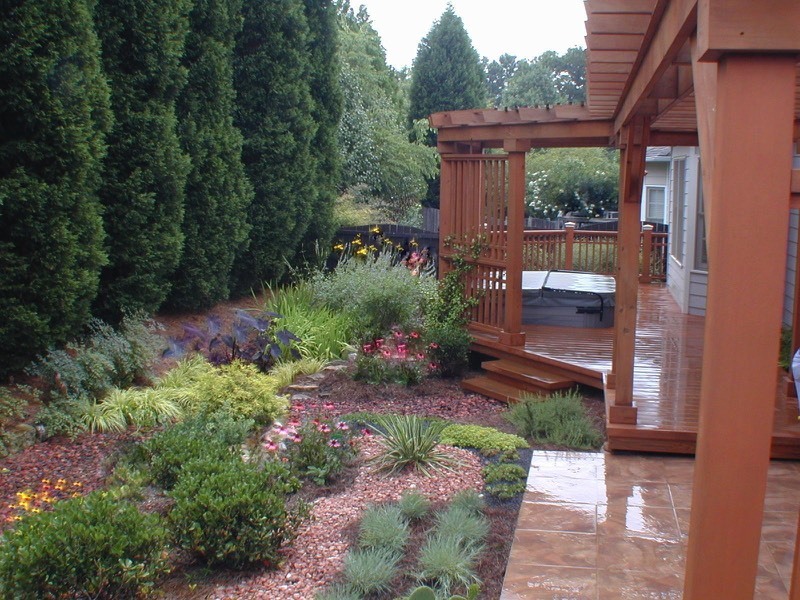 We also provide dry creek beds, French drains, eco friendly rain gardens and innovative solutions. 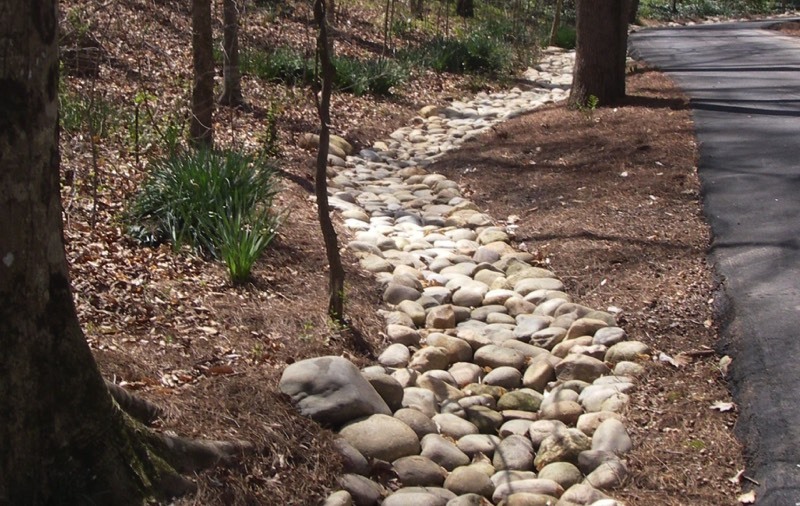 Natural looking dry creek beds can be ornamental as well as functional. 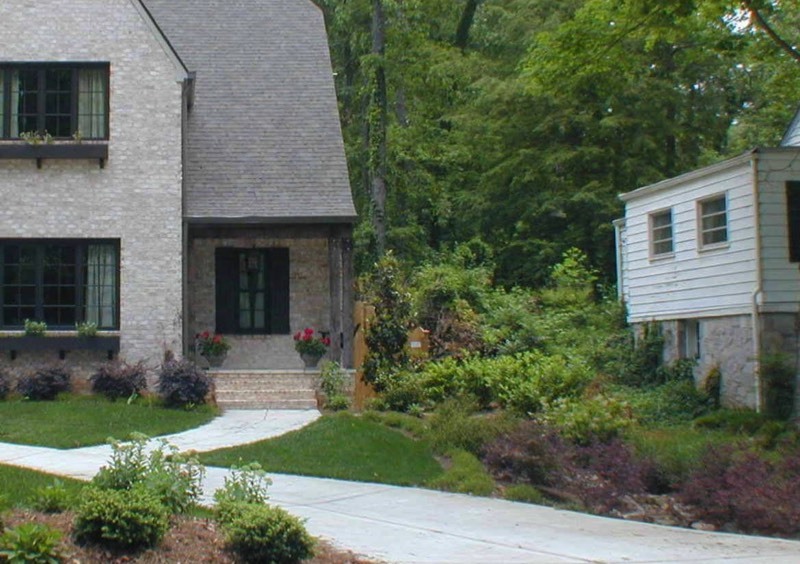 See some we’ve created along driveways, others run thru the landscape and others double as paths. 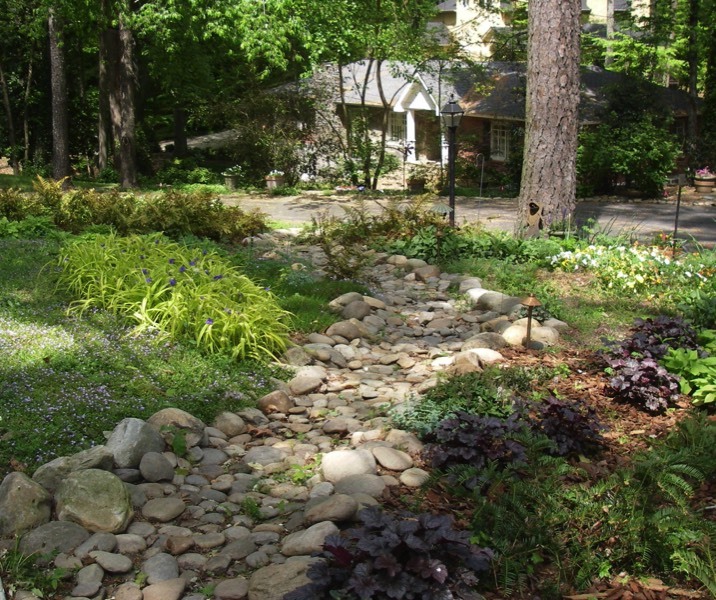 A dry creek bed can be a focal point or it can be completely hidden by plants.